[Guide] [Quest] [Adventurers Of The Continent] <+> [MU Online Fanz] <+> Official 3rd-party [MU Online] Fan Site & Game Guide! 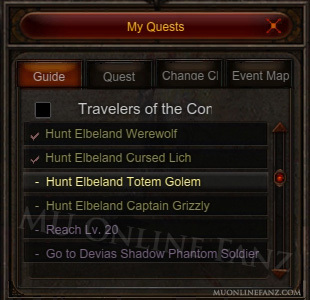 The [Quest Guide] offers a variety of [Quests], which will guide your character through the Continent. These quests are designed to help familiarize players with the game and its content. 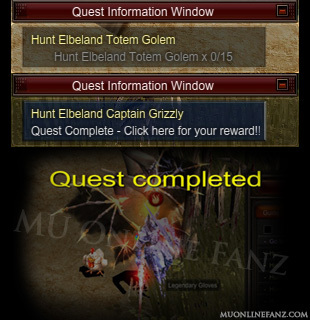 By completing the [Quests] offered, you'll learn almost every monster's location and earn great rewards along the way! You can skip all the [Quests], but then you will not earn any of the rewards. The [Quest Information Window] show the details of the [Quest Guide] [Quests] only. Clicking the [Quest Information Window] functions the same as clicking the [Go Now] button. Click [Go Now] to automatically move to the [Quest] [Task]. Clicking [Go Now] will automatically accept the next [Quest], after the current [Quest] is completed. Click [Give Up Quest] to skip the current [Quest]. When a [Quest] is skipped, the rewards will not be earned, and then next [Quest] will be automatically accepted. Skipped [Quests] cannot be accepted again. Each [Quest] is known as a "chapter," with a handful of [Subquests] to complete. After completing, or skipping, the last [Subquest] of a [Quest] chapter, the next chapter will be unlocked. 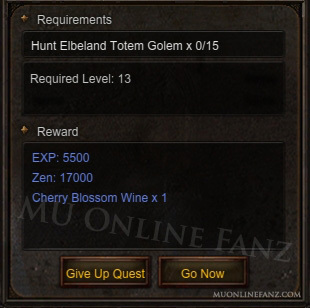 The [Quests] offered have various rewards, such as [EXP], [Zen], or even [Ruud]! A [Quest] can only be accepted by a character if it's within the [Character Level] restrictions. All of the [Quests] on this page cannot be repeated. All [Quests] must be completed, or skipped, in order. All [Quests] under this chapter can be skipped at the same time by ticking the check box next to the chapter title in the [Quest] menu, and then clicking [Give Up Quest]. This is a list of all [Subquests] offered during the [Adventurers of the Continent] [Quest] chapter. After completing the last [Subquest], the next [Quest] chapter is unlocked. The [Adventurers of the Continent] [Quest] guides characters through [Level 150]. Any character greater than the required [Character Level] can still complete the [Subquests] at any time. [Subquest 43], the last [Subquest], is only offered to [Tier 1] [Character Classes], and unlocks the next [Quest] chapter. [Tier 2] [Character Classes] will unlock the next [Quest] chapter, after completing [Subquest 42]. [Character Level] [Level 50] required. You will move to the [Lost Tower] [Warp Command] location, automatically. Kill: [Shadow] (x20), in [Lost Tower]. Kill: [Poison Shadow] (x20), in [Lost Tower]. [Character Level] [Level 53] required. Kill: [Cursed Wizard] (x20), in [Lost Tower]. Kill: [Death Cow] (x20), in [Lost Tower]. [Character Level] [Level 55] required. Kill: [Devil] (x20), in [Lost Tower]. Kill: [Deeath Knight] (x20), in [Lost Tower]. Reach [Character Level] [Level 60]. [Character Level] [Level 60] required. You will move to the [Atlans] [Warp Command] location, automatically. Kill: [Bahamut] (x30), in [Atlans]. Kill: [Vepar] (x30), in [Atlans]. [Character Level] [Level 65] required. Kill: [Valkyrie] (x10), in [Atlans]. Reach [Character Level] [Level 70]. [Character Level] [Level 70] required. You will move to an area in [Atlans], automatically. Kill: any monster (x50), within the area. Reach [Character Level] [Level 80]. [Character Level] [Level 80] required. You will move to the [Atlans 2] [Warp Command] location, automatically. Kill: [Great Bahamut] (x30), in [Atlans]. Kill: [Silver Valkyrie] (x30), in [Atlans]. Kill: [Lizard King] (x30), in [Atlans]. [Character Level] [Level 85] required. Kill: [Death Gorgon] (x30), in [Lost Tower]. Reach [Character Level] [Level 90]. [Character Level] [Level 90] required. Reach [Character Level] [Level 100]. [Character Level] [Level 100] required. You will move to NPC [Shadow Phantom Soldier], automatically. Kill: any monster (x100), within the area. [Character Level] [Level 101] required. Reach [Character Level] [Level 110]. [Character Level] [Level 110] required. Reach [Character Level] [Level 120]. [Character Level] [Level 120] required. Reach [Character Level] [Level 130]. [Character Level] [Level 130] required. Reach [Character Level] [Level 140]. [Character Level] [Level 140] required. You will move to the [Tarkan] [Warp Command] location, automatically. Kill: [Mutant] (x30), in [Tarkan]. Kill: [Bloody Wolf] (x30), in [Tarkan]. [Character Level] [Level 143] required. Kill: [Iron Wheel] (x30), in [Tarkan]. Kill: [Tantalos] (x30), in [Tarkan]. You will move to the [Tarkan 2] [Warp Command] location, automatically. [Character Level] [Level 145] required. Kill: [Beam Knight] (x30), in [Tarkan]. 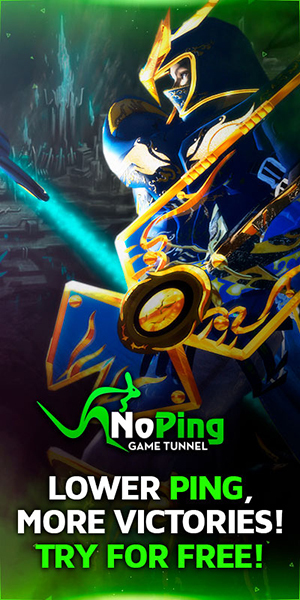 Kill: [Death Beam Knight] (x2), in [Tarkan]. You will move to an area in [Tarkan], automatically. Reach [Character Level] [Level 150]. [Character Level] [Level 150] required.